In this session, OCEG Chair, Scott L. Mitchell, and Co-Chair of the GRC-XML project, Said Tabet, will present an update on the GRC-XML project. Important milestones have been achieved including the use of GRC-XML in several regulatory initiatives around the globe. 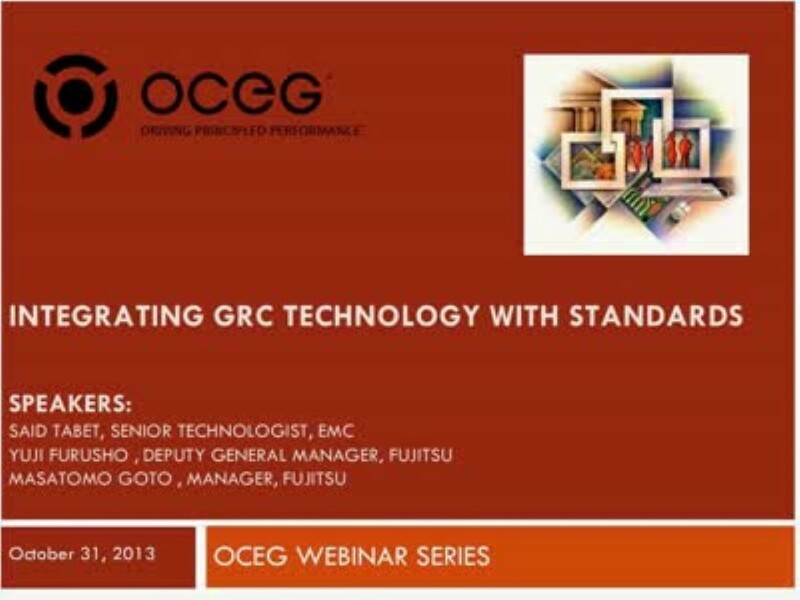 We have emailed instructions to access Integrating GRC Technology with Standards to . Make sure the email arrives in your inbox: either add "support@oceg.org" as a safe sender to your email platform, or if you use Gmail, drag our email into your Primary tab.